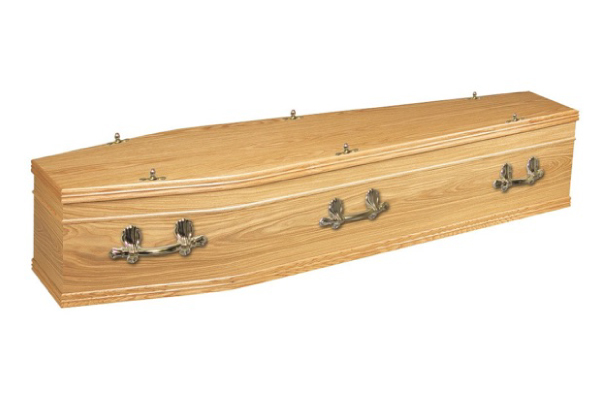 A polished oak effect coffin. 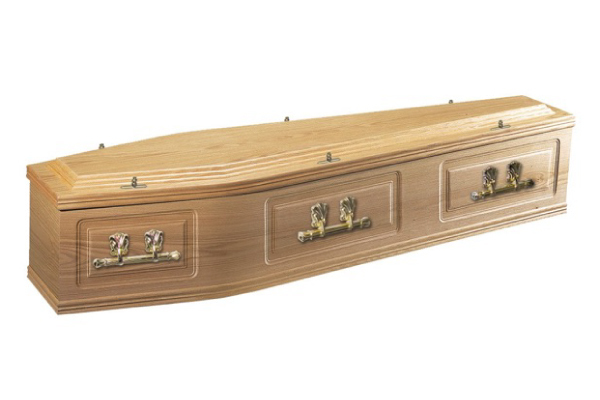 Suitable for cremation or burial and fitted with York handles. Suitably lined. A polished oak veneer coffin with a raised lid and panelled sides. Fitted with three pairs of handles. Suitably lined. 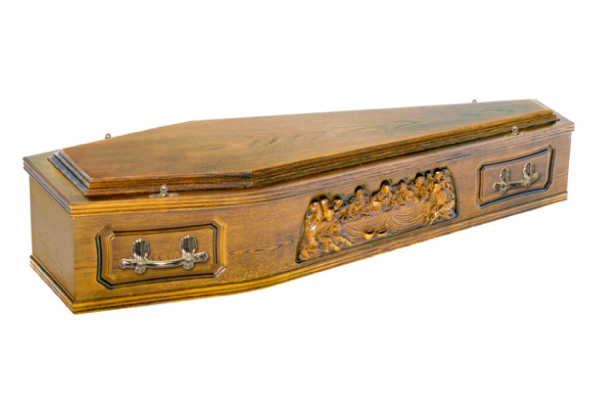 A polished oak veneer coffin. 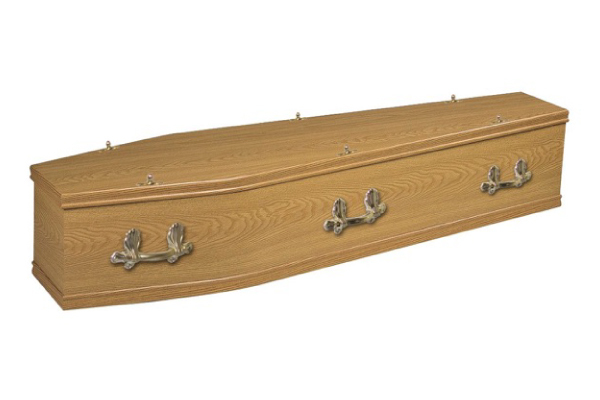 Suitable for burial and fitted with York handles. Suitably lined. A veneered oak coffin with panelled sides and ‘Last Supper’ inserts. Fitted with two pairs of handles. Suitably lined.